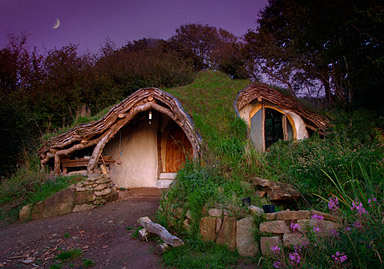 Living in a tiny “hobbit” house – How enchanting! Take a walk on the woodsy side with this enchanting tiny house from Whales — built by hand with straw bales, imagination and little else. Simply amazing low-impact housing with a sense of magic and wonder — and all built for 3000 British pounds. Kudos to my son, for locating this one for me! Voluntary Simplicity: Where Do I Begin? Tiny Houses: Trends in "Living Small and Loving It"
2 Responses to "Living in a tiny “hobbit” house – How enchanting!" I found your blog on Bing because I was looking for pictures of “tiny houses.” Nice to find you I have tagged, labeled, etc. for future reading.